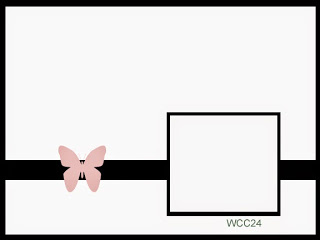 I’d like to share with you a card that I made for the WCC24 – Watercooler Challenge – this is a group of my friends, some who also participate in the Wacky Watercooler Blog Hops that I take part in; but all of us ‘hang out’ at our virtual water cooler on the Stampin’ Up! demo-only site, chit-chatting, sharing personal as well as business happenings and stories. This sketch is made by a fellow B.C. girl, my friend Stefanie Pletscher! I used my Squares Framelits to cut the squares of Whisper White cardstock and Lullaby designer series paper. I stamped the images from the Wetlands set, using Memento Black ink, and coloured in the goose image using Aqua Painters and Old Olive, Tip Top Taupe (upcoming new In Colour) and Bermuda Bay inks. The sandpipers background was also coloured using Aqua Painters, along with Tip Top Taupe and Bermuda Bay inks. I took a panel of Bermuda Bay cardstock, and stamped it with the splatter image from Gorgeous Grunge, in Bermuda Bay ink, for a tone-on-tone look. I then wound the Hemp Twine (retired) 3 times around the cardstock, then attached it to the card base of Baked Brown Sugar (counting down it’s last days before it’s gone for good! )using Stampin’ Dimensionals. After layering the stamped images on top of the DSP squares, I then used more Stampin’ Dimensionals to layer them over top of the Twine. 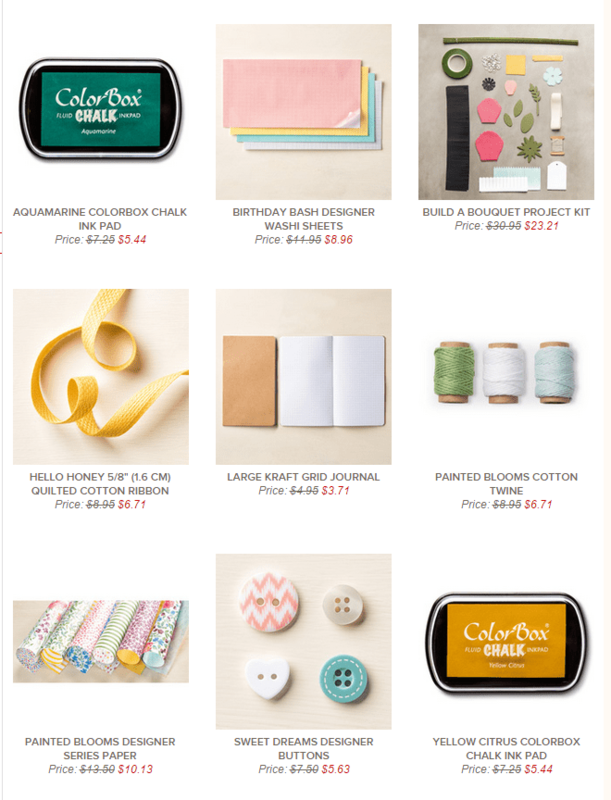 Now I have the new Weekly Deals to share with you – a lot of these items are not on the ‘retiring list’, but they are in the Occasions Catalogue, which you will only be able to order from until June 2nd! That’s only 1 week from today!! Wow – these are some great deals! 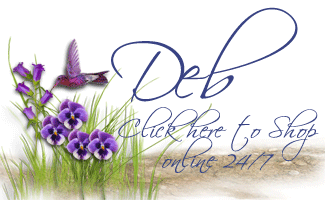 You can add in the Weekly Deals to any order; you only have 1 WEEK LEFT to order from the current catalogue, the Occasions catalogue, and the Retiring List! On June 2nd, you will be able to order from the current Annual Catalogue, the Occasions Catalogue and the Retiring List, AS WELL AS the NEW Annual Catalogue! Items carrying over from the current to the new catalogue that have prices changes, will be sold at the price in the current (2014-2015) catalogue price; brand new items in the new (2015-2016) catalogue will be charged the price in that new catalogue. On June 3rd, the only catalogue that will be available for ordering from will be the new 2015-2016 Annual Catalogue. So hurry and get your orders in soon, before it’s too late! You can go directly to my online store by CLICKING HERE, or give me a call or email, and I’ll process your order for you. I hope you’ll come back tomorrow – I’ll have a Design Team card for you for the Paper Craft Crew Sketch Challenge! Previous Previous post: Another Fun Stampin’ Up! Party! Wonderful card, Deb. 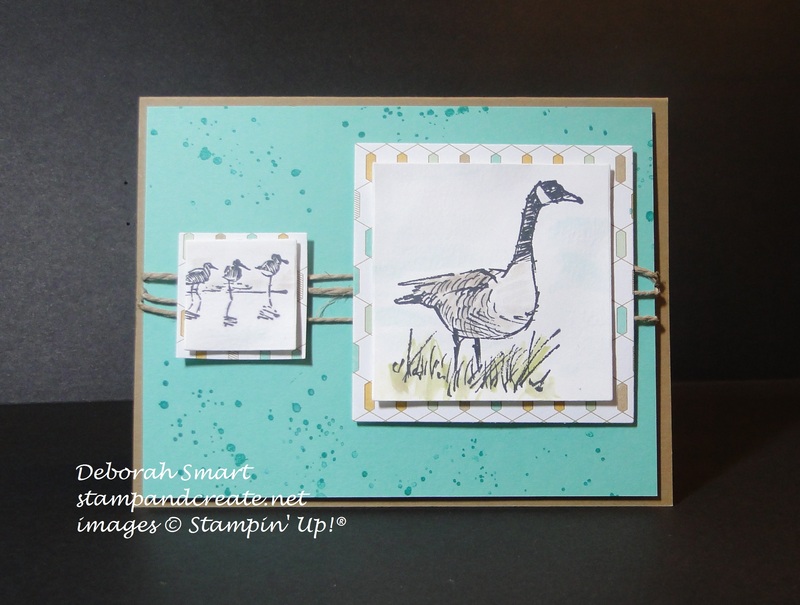 I love the way you’ve used the sketch, having the Canada Goose in the large square and then adding the Sandpipers in a small square. Nicely done! The bit of subtle watercolouring really adds an artistic touch as does the splatter effect in the background. Thanks so much for joining the Watercooler Challenge. Thanks for your kind comments, Heidi! I love participating in the challenges; they always have me looking at my stamps in new ways. Deborah, what a fun card! It looks like you have babies following the goose (ok, kind of ignoring the fact that they are different bird breeds!). Thank you for your lovely contribution to our Watercooler Challenge. Great card, Deborah! I’m really going to miss that set. Thanks for playing! !